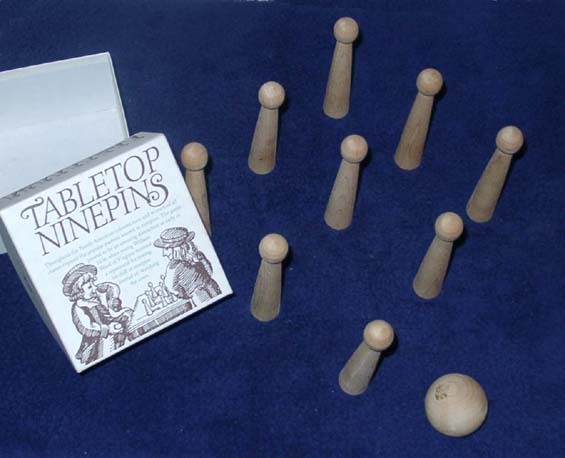 Ninepins has a solid heritage in American history. If you remember the adventures of Rip Van Winkle, the group of Dutchmen whom he met and who provided him with the beverage that caused him to sleep for twenty years were playing nine pins. In playing the game, the pins are arranged in a diamond pattern. I have not seen any directions for spacing so you can probably use any arrangement that you want and all the players agree on.